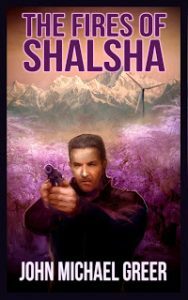 My first SF novel, a story of war and self-discovery set on a colony world long after the death of Earth, The Fires of Shalsha has been described by reviewers as reading a little like Seven Samurai rewritten by Ursula LeGuin. Like everyone at Miskatonic University, Owen Merrill thinks of H.P. 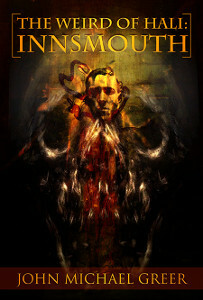 Lovecraft as a fantasy author who used old lore to fill out his stories of eldritch horror. 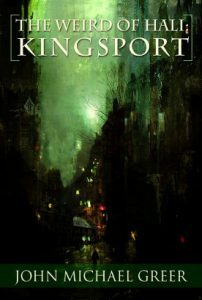 Then the discovery of a lost Lovecraft letter sends him on a desperate quest for the truth underlying the legends — a quest in which yesterday’s friend may be tomorrow’s enemy, and the tentacles reaching toward him may hold the last hope for life on earth. The year is 2065, and the United States is a fading memory. Most of the nations of post-US North America are still trying to pursue the phantom of progress, and running themselves into the ground in the process. 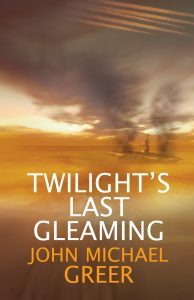 As his nation struggles for survival and the clouds of war gather, Peter Carr travels to the Lakeland Republic of the upper Midwest — which has achieved peace and prosperity by modeling its future on the past. 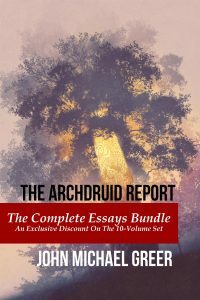 All the uncollected stories from my former blog The Archdruid Report, including the three “Winter’s Tales” stories, “Adam’s Story,” the five-part series that became Twilight’s Last Gleaming, and much more. 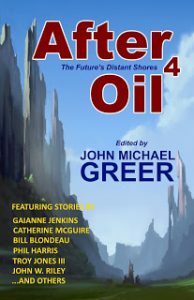 The first anthology of deindustrial SF stories to come out of contests held on my former blog The Archdruid Report, After Oil contains a dozen tales set in futures defined by resource depletion, environmental disruption, and the twilight of the industrial age — you know, the kind of future we’re actually going to get. 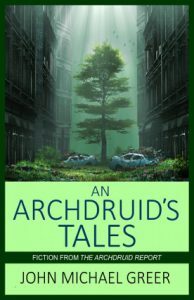 The second anthology of deindustrial SF stories to cone out of contests held on my former blog The Archdruid Report, this volume includes tales of the near future — the years of crisis that are dawning around us right now. 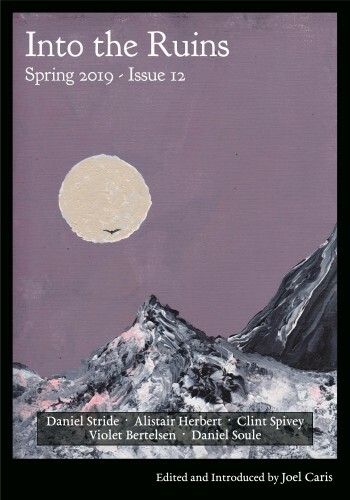 The third anthology of deindustrial SF stories to come out of contests held on my former blog, The Archdruid Report, this volume contains stories set further out in the future, when the new cultures of the postindustrial future are taking shape. 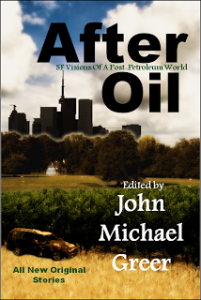 The last of the four anthologies of deindustrial SF to come out of my former blog, The Archdruid Report, this volume contains stories set at least 1000 years in a future constrained by resource depletion, environmental disruption, and the end of the industrial age. I asked my readers to stretch their imaginations to the utmost, and they did, creating futures that leap far beyond the usual tropes of progress and apocalypse to rekindle a sense of wonder rare in today’s SF. 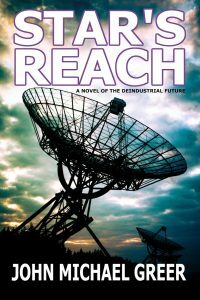 Readers of my novel Star’s Reach begged me for more fiction set in the same troubled but vivid world. I challenged them to write some themselves — and once again, they rose to the challenge. 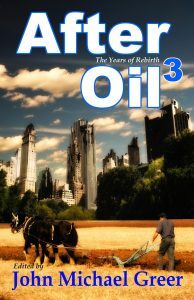 This volume offers eight lively stories of the deindustrial future.